A guide to abortion funds. 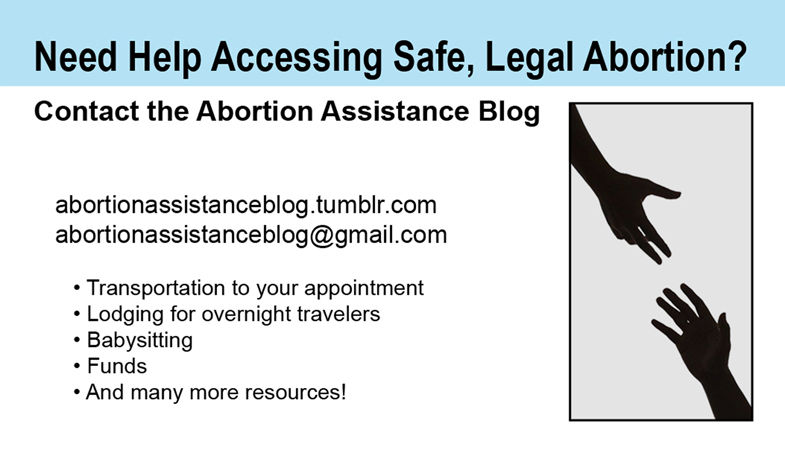 Need help accessing safe, legal abortion? Update: Also, be sure sometime to visit Sister Y’s pamphlet Five Reasons to Have an Abortion. May 9, 2013 Iago Faustus, Ph.D.